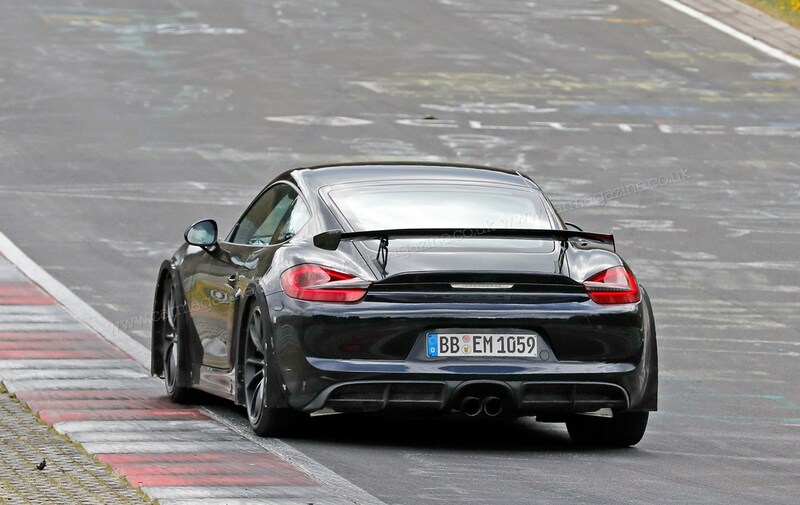 ► 3.8-litre flat-six, Touring too? 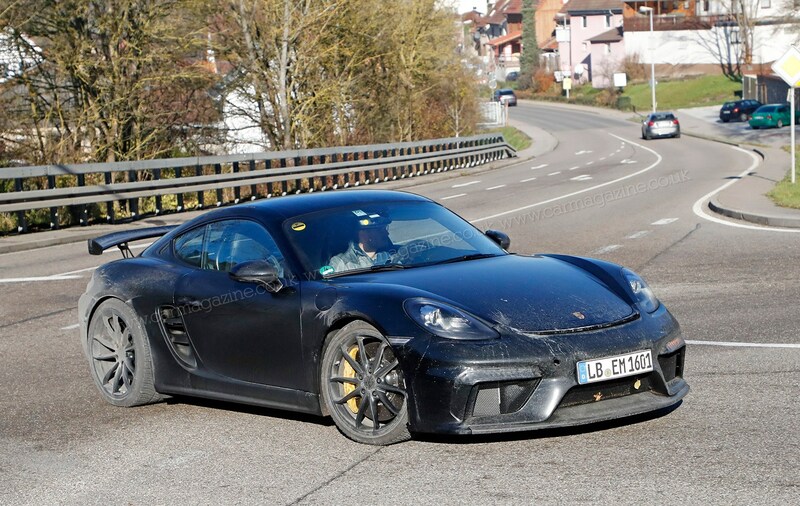 Porsche is busy testing the Cayman GT4 again, and this time it seems to have forgotten the camo altogether. 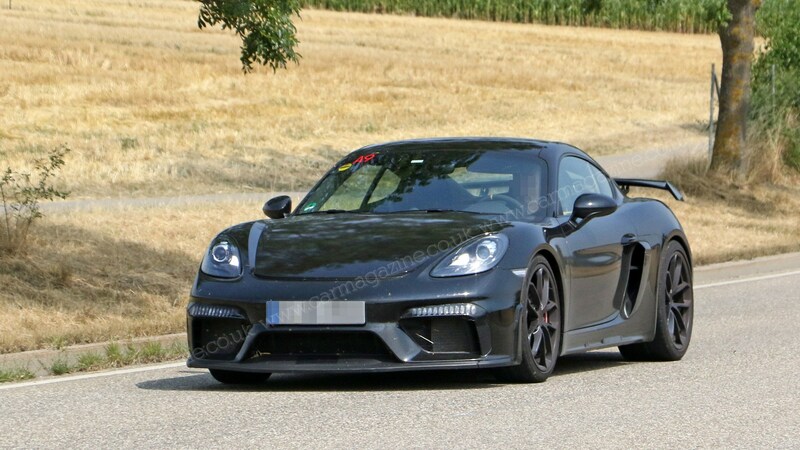 Our new spy shots show the new GT4 so close to production, it’s just a Porsche badge away from being in a dealership. Aside from the total lack of disguise, there’s no real surprises here – so expect the car to look almost identical to this when it’s revealed at this summer’s Goodwood Festival of Speed. 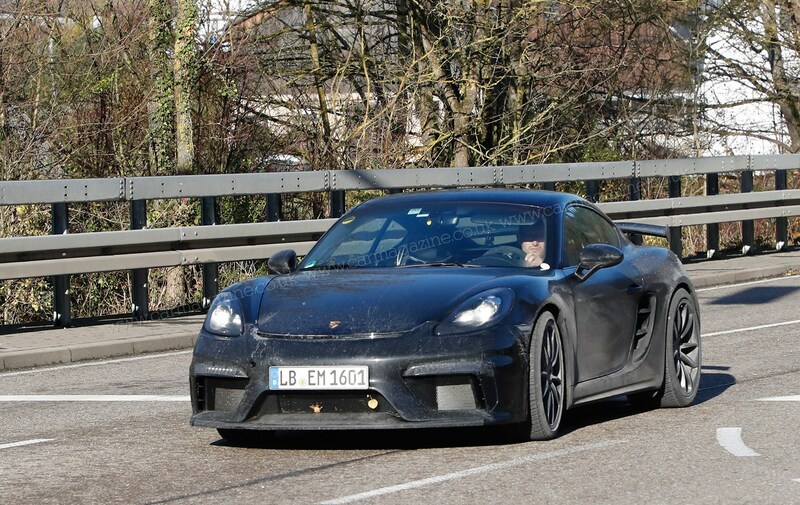 Keep reading for everything else we know about the new 2020 Porsche Cayman GT4. Nothing sticks around forever. 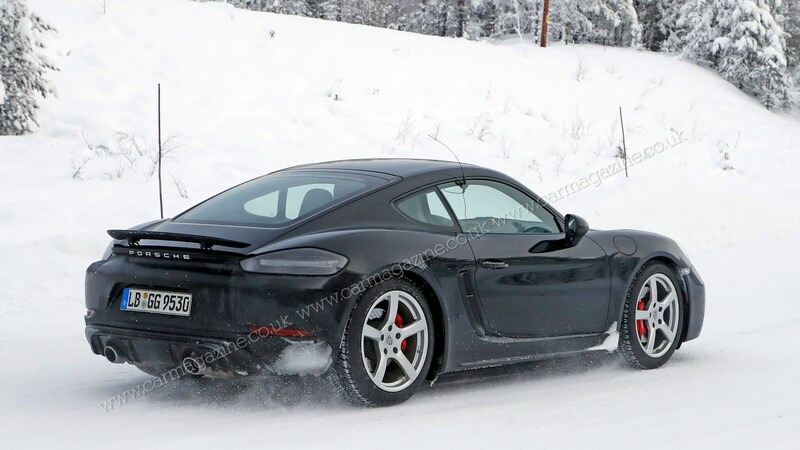 The base 718 Cayman models have lost their six-cylinder engines, the Porsche 911 has gained turbochargers across the board and the manual gearbox is an endangered species throughout the car world. 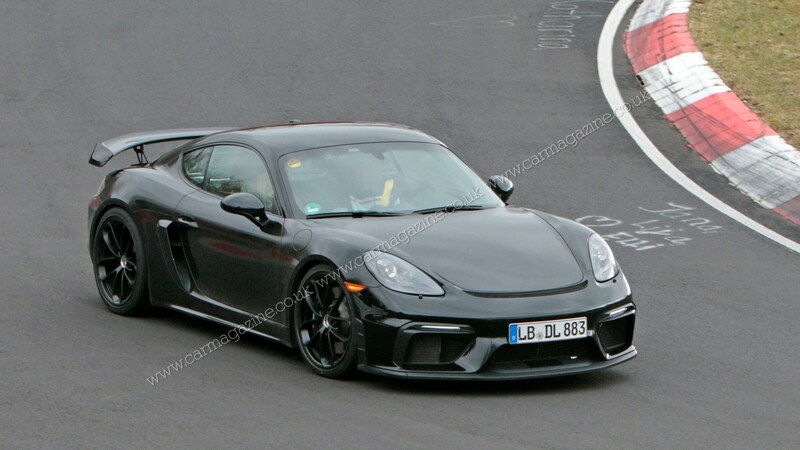 But when the second-generation 718 Cayman GT4 is released into the wild at the Goodwood Festival of Speed in July 2019, it will contain no turbochargers and – at first – no automatic gearbox option. The ultimate pure driver’s car remains just that. 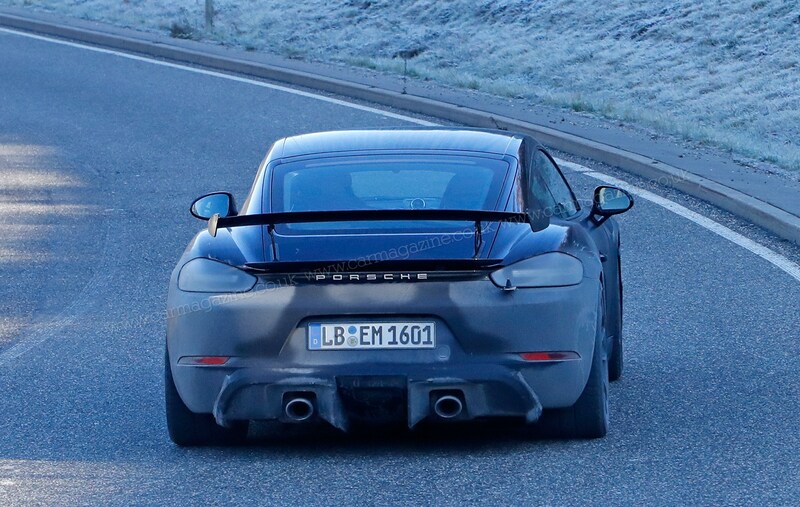 ‘The current formula is too convincing to change it for the sake of changing,’ says Frank-Steffen Walliser, who on 1 January took over R&D responsibility for sports cars from Gustl Achleitner (the famous ‘Mister 911’, retiring after nearly two decades in charge of the 911 model series). ‘Instead, we concentrated on making a very good car even better.’ We've illustrated it in our artist's impressions above and below. 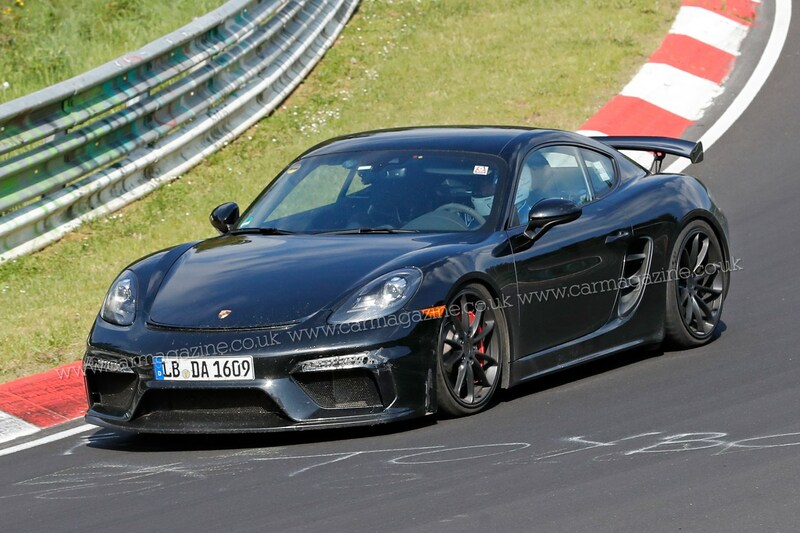 The revised GT4 engine receives a significant power boost from 375 to 420bhp, give or take a couple of horses. 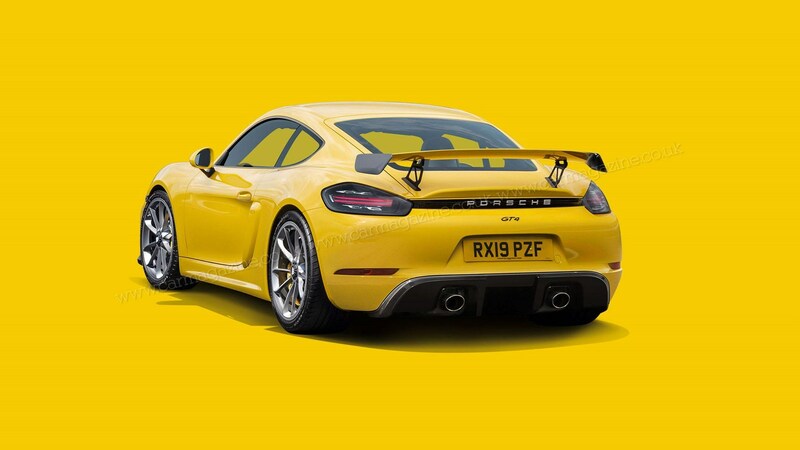 In addition to the extra muscle, the 3.8-litre flat-six comes equipped with the latest de-smogging kit which typically affects fuel economy and power output – but not in this case. 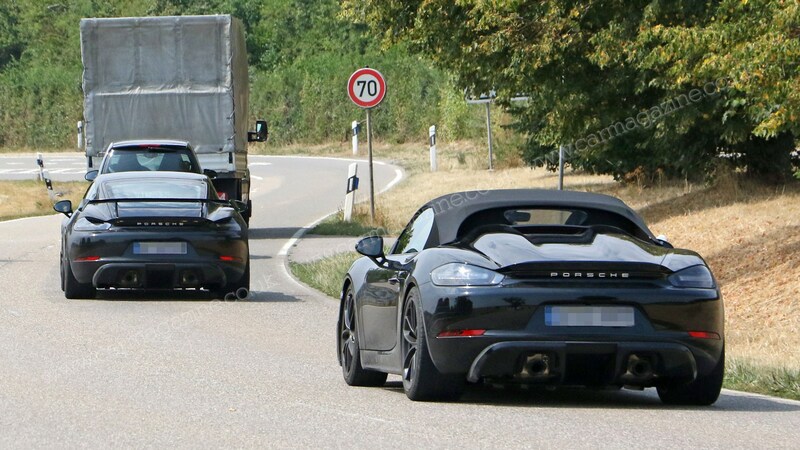 The performance data is not yet confirmed, but the Weissach grapevine suggests that the hottest Porsche 718 can sprint from zero to 62mph in four seconds flat and reach a maximum speed of over 185mph. Is it still a bargain? 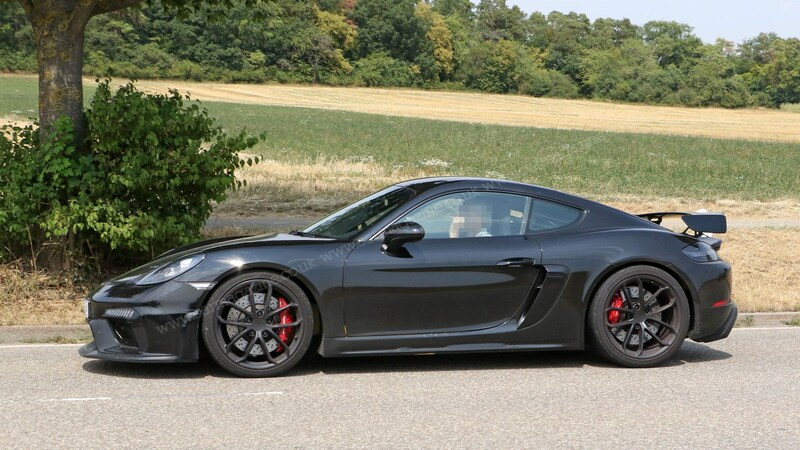 Likely to be priced in excess of £90,000 (its predecessor’s original £64k list price really was a bargain), the ultimate Cayman loses 50kg thanks to an extensive substitution of materials, thinner glass, fewer electrically operated aids and hollow-spoke wheels. 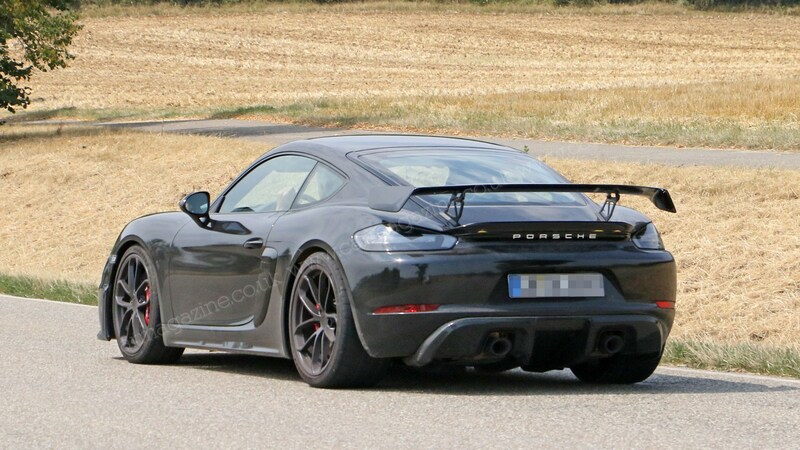 Visual distinctions include even bigger nasal air intakes, flared lateral nostrils, a wider rear air dam with deep winglets, air breathers in the front bumper and a pronounced rear diffuser, which accommodates two giant tailpipes set farther apart than before. Over the last few months we've had spyshots which confirm the look of the new car, and you can see more of them in the gallery above, too. 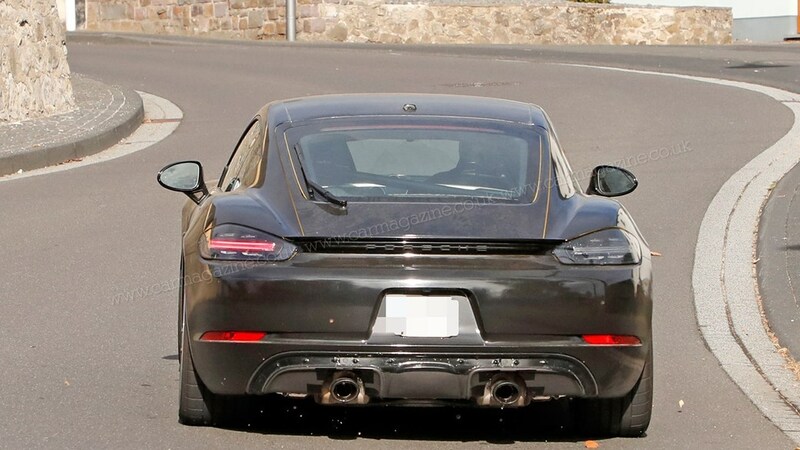 The fixed rear air deflector goes up in size and angle, the already svelte supports for the rear wing and the door mirrors have slimmed down even further, and the daytime running lights are piercing LEDs. 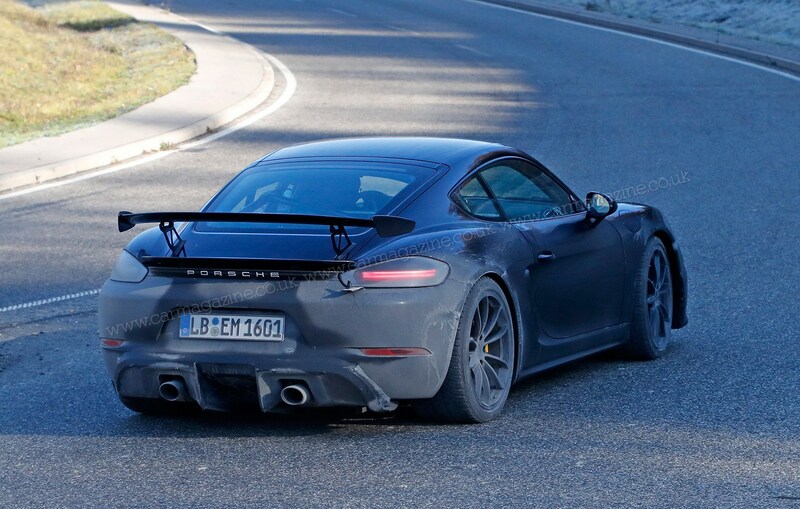 Rims and tyres, wheelarches, front splitter, sill extensions, springs, dampers and anti-roll bars are bigger, stiffer and tuned for speed, not comfort. 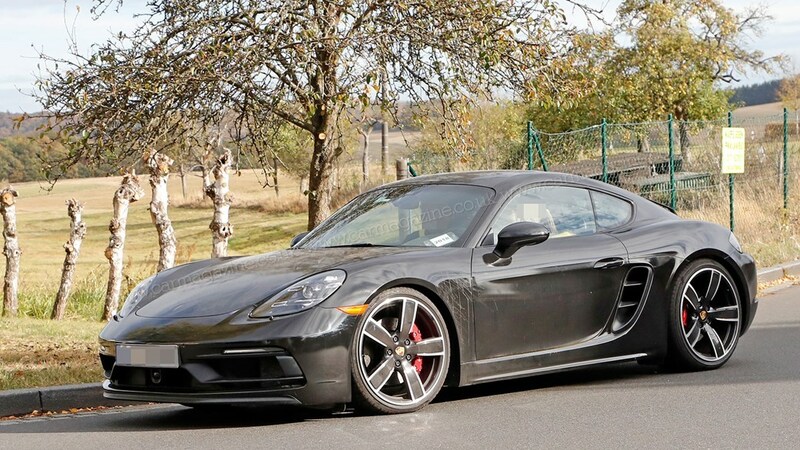 Inside, we find optional 918-style buckets, GT4-specific digital instruments and upgraded infotainment. 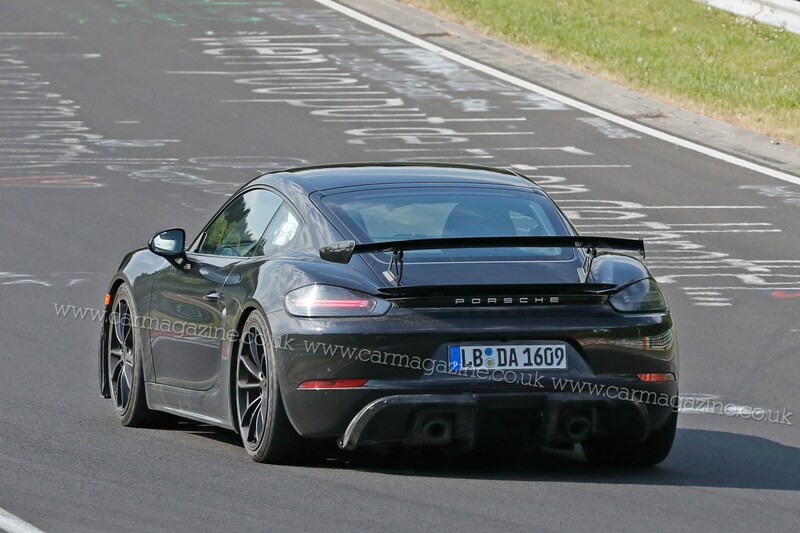 That's also all confirmed by some pretty serious prototypes we've seen: check out the full-width rear wing and diffuser on our spy photos (above). Twin exhuasts complete the look. 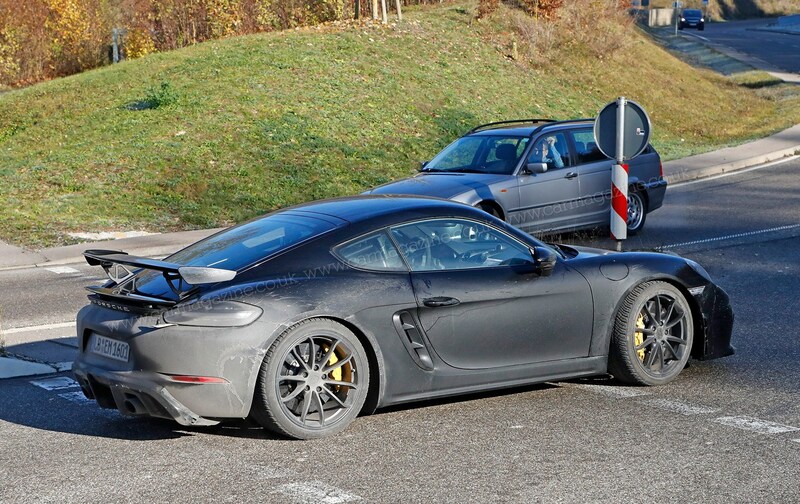 Other telltale giveaways that this is a protoype is a GT-series Porsche are the lightweight alloy wheels wrapped in liquorice-thin, track-focused tyres, the lower ride height and Porsche's composite brake discs the size of brass band cymbals. 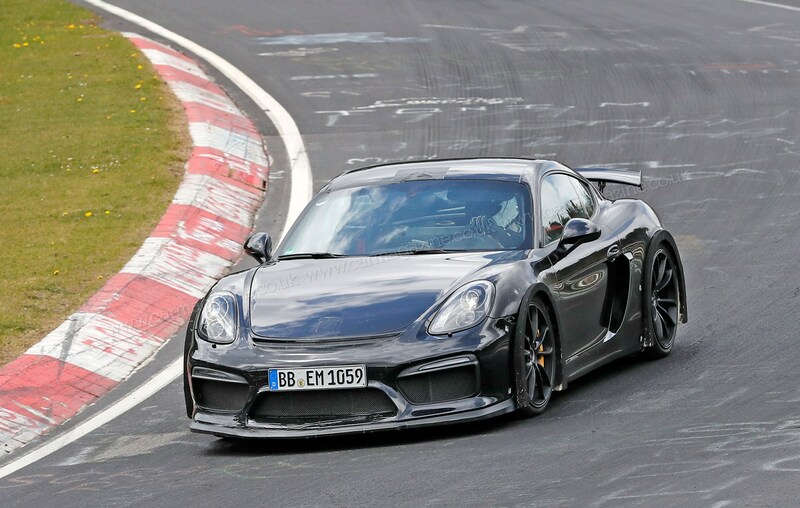 It’s just as well the GT4 remains loyal to its charming old-school concept considering the fact that by 2022 the 718 replacement is due to jump on the all-electric bandwagon, suggesting that the four-cylinder combustion engine will die together with the current-generation Boxster/Cayman twins at the end of 2023 if not before. 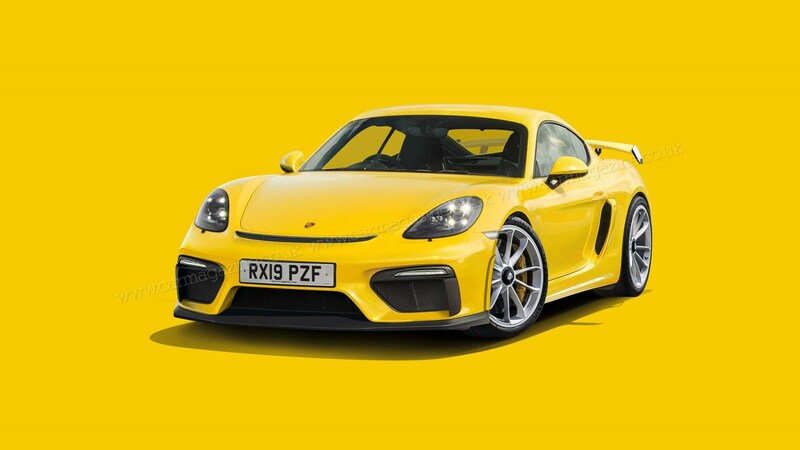 High-revving naturally aspirated sports cars with three pedals in the footwell are a dying breed – let’s enjoy them while we can. 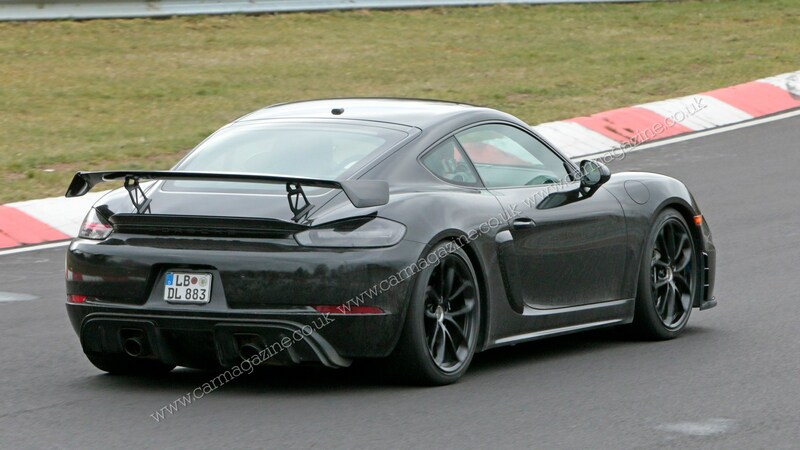 Our latest spy pictures suggest it'll be arriving in a wingless Touring guise too - just like its GT3 big brother. 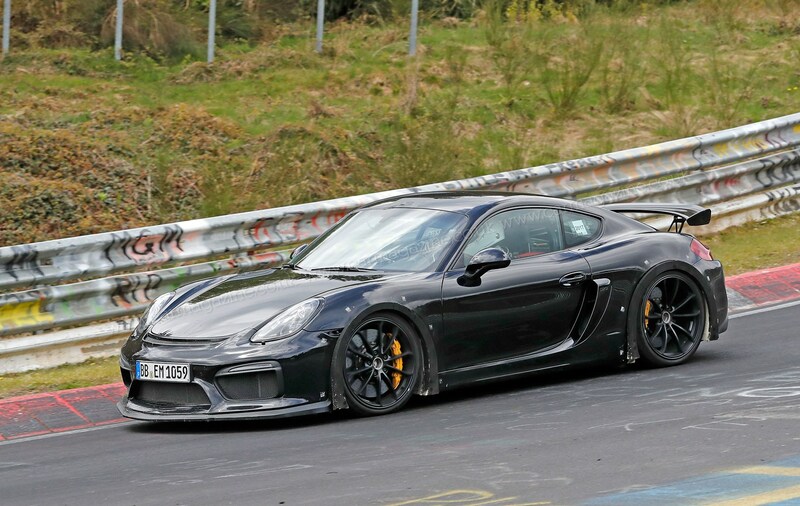 Originally, we published shots of a wingless fire-breathing Cayman, and at the time we thought it to be the lightweight, driver-focused Cayman T.
But now with the release of the new – and very different – 718 Cayman T, it's clear we were looking at an all-new Touring version of the new Cayman GT4. 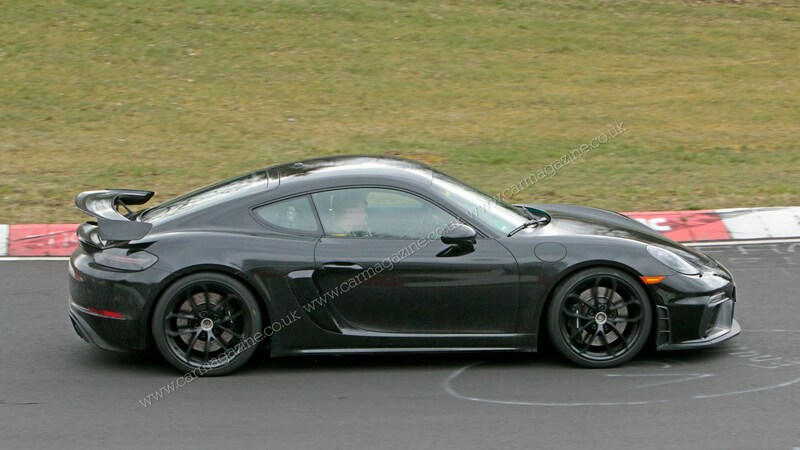 Either way, it's interesting to see the Cayman now getting its very own Touring flavour; clearly strong sales of the 911 GT3 Touring have led Stuttgart to make a wingless, manual-only version of its baby sports car, too.